How can we help refresh your website? Font audit - we will asses all the fonts currently used in your site and will chose fonts that fit your brand and are easy for your site vistors to read. Often we will reduce the fonts down to two fonts at max, a header font and a body font. Colour Audit - We will go over the colours used in your site i.e. buttons, header text and images. We will ensure a core theme of your colour scheme will go though the whole site and check over and ensure the colour scheme works for your brand. Information layout - vistiors to your site need to be able to see your core services or your products off the bat and layout of infomration on your homepage and throughout the site is so important. 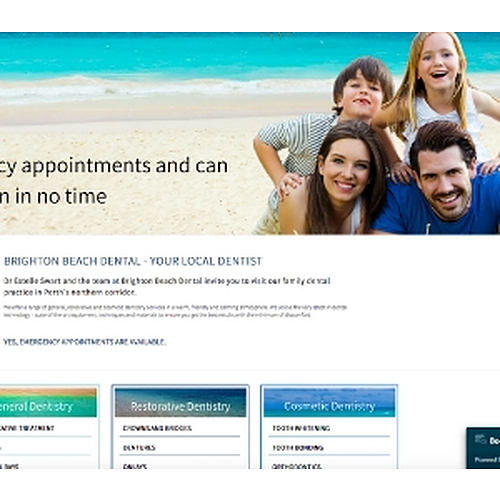 In Brighton Beach Dental's site we moved straight text into three panels with easy to read titles that tell the vistors to the site exactly what services are provided. We put more engaging text onto the header banners with images that relefct that text. Then we have added in more large images and helpful infomation to help the viistors nagivate the site. Images - We invest a fair amount of time into finding the best suited stock images for your site. We also then ensure that any over lays or backgrounds on the image match the rest of the sites theme. We also take the time to reduce the size of images without loosing quality. In the example below we brightened up the feeling of the image and used photos that follow Brighton Beach Dentals theme. Also little details like the her arm in the second image is leading the viewers eye down towards the content, where as the arms on the first woman lead the eyes off the page.  Site Code Audit - Code testing to your entire site for speed and security. We will reduce image sizes and anything else that we need to to ensue your site is fast amd safe for your vistiors. These are just some of the ways that we can help you refresh your site. Call today on 1300 856 533 and talk to us about what we can do for you.